Another classy Veteran’s Day menu board. Set agaist a creamish white background,the black rectangle on the right within which the occasion and the discounted offer is highlighted, sets the vibrant ambiance. 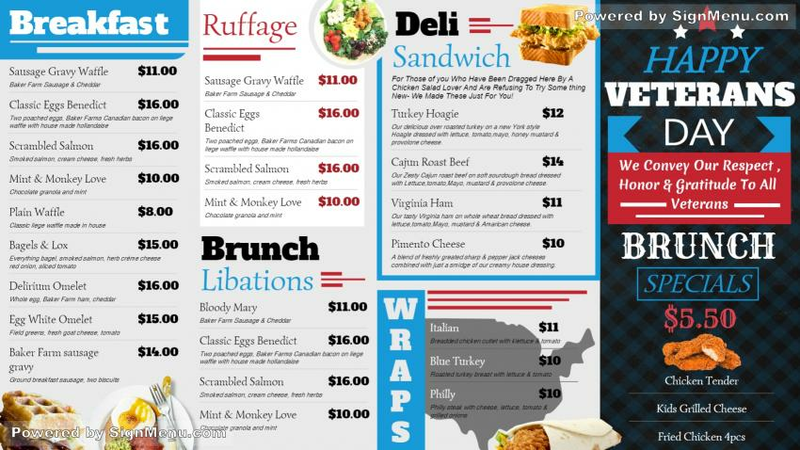 The menu is designed within square and rectangular frames and is brilliantly structured. On a digital screen this template will be the talk of the town.